In 2015 has been built vessel Sun Odyssey 469 named Bana Bioletta 5. This sailboat is placed in marina Athens in the region: Athens in Greece. 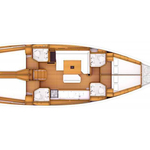 You can accommodate up to 10 passengers on the yacht Bana Bioletta 5. Scheme of beds is 10 (8+2). There are 4 cabins situated below yacht's deck. Bana Bioletta 5 has 4 toilettes. You can find different yachts right here: Yacht charter Athens. In this vessel is applied motor 54. 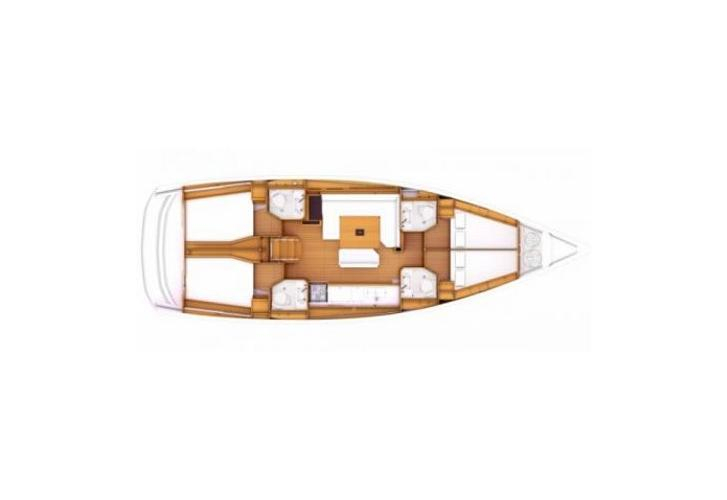 Sun Odyssey 469 Bana Bioletta 5 is equipped with: Furling mainsail, Radio / cd player, Bed linen, Radio cd mp3, Bed linen & towels, Gps, Autopilot, Gps plotter, Gmdss, Wc pump electrical, Anchor electric windlass, Bimini top, Dinghy, Bow thruster. . Nonrefundable caution accounts for 2000.00 EUR. 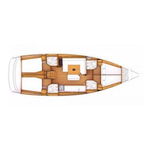 Click for more search results by clicking on this link: Yacht charter Athens.